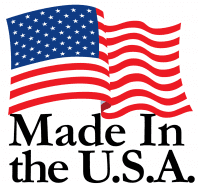 Today I want to pose a simple, yet important question, does it matter to you that our countertop water distillers are made in the USA? In fact, as far as we know our countertop water distillers are the ONLY ones on the market that are still made in the USA, so does this matter to you? We are a family-owned business that designs and manufactures the absolute best drinking water systems in the world. For over 40 years we have produced our systems here in the USA. It’s been hard, but we’ve never outsourced our distillers overseas. Answer this question in the comments below and please forward it on to everyone you know! encourage more people and businesses to emulate Pure Water. Thanks much Mike! We appreciate the support. Glenn, I think it means a great deal. I also think it’s going to mean a great deal more when our country regains some of its national pride. We’ve lost a lot in the past 20 years but I think the pendulum is begining to come back around. 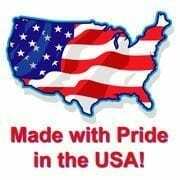 You make the best quality product in the market and you make it hear in America. That’s not a conicidence. Keep up the good work. As much as possible, I try to utilize products that are made in the US. It’s important to me, our economy and our success as a society that we look locally for products and services. I know this company as well, and the innovation that comes out of this organization is largely due to the fact that they are hands on in every aspect of production. Thanks Jason! Spread the word! What you do not hear about the offshore distillers is of their demise, and the pains the owner has to go through trying to make his investment work for him and his family. I have seen this all over Asia. Certainly not all, but many, of these distillers end up in the junk heap – after poisoning the minds of many about the necessity of distilled water. At the end of the day, you always get what you pay for. Yes, it does make a difference and this difference is self-evident to those who know your product. Wow, thanks for the extremely thoughtful letter Steve. We do take pride in what we produce, which is why we still produce here at home. I think it comes down to quality. What I’ve been seeing lately is some manufactures are bringing back parts of their manufacturing for quality reasons. Cheap can’t make up for quality. Could you maintain the quality and service were you to build the machines abroad? Not likely. You would have to make compromises. Manufacturing in the US can make good business sense. And we can compete. Thanks to companies like yours for proving “Made in USA” is not just a slogan – it’s a badge of quality and service unmatched in the world. Rich, from one US-based manufacturer to another, thanks! I’ve been alive long enough to see the USA shift from a nation that provided goods (built stuff…..a lot of stuff!!) and services to a nation that mostly provides services. I know if my Grandparents were to come back to life today they would be asking “what happened to us?” These countertop distillers are a great example of the American ingenuity and pride still alive. This product is extremely reliable and every customer we’ve sold one to is amazed at how simple it is to use as well as how reliable the unit is. More important is the fact our water supply contains such a variety of chemicals and contaminants it’s great to have Pure Water right here in the USA building products that give us healthier water. To Glenn and all of the folks at Pure Water, keep up the great work and keep it in the USA!! We will continue, but we can’t continue without people and companies like yours selling our products. Thanks much Mike. Yes, absolutely it matters! The build and quality of your units are 1000% above all the rest. I have owned several distillers over the years, most of which were made some place else. Compared to yours, the rest are junk. I am so happy that I found your company and your products. I have had your unit for about 3 years now and it works perfect every time. I make quite a bit of distilled water too so I know from where I speak. We are now considering buying one of your larger units with autofill that we can install in our basement. I want to run a water line from this unit to my kitchen sinks and the water input in my refrigerator in order to have cold drinking water as well as perfect ice. We are on a well here that is generally pretty good quality but this would be the insurance policy I need in the off chance anything ever contaminates my well. Thank you for being a customer Curtis. We appreciate the fact that you have done your research and recognize the huge difference between our products and the rest. Spread the word! Yes, it does matter. The quality is impacted every step of the way because of the integrity of everyone involved in the organization. You only purchase quality materials, and oversee the manufacturing process every step of the way. When the manufacturing is outsourced, the results are not nearly as consistent. For example, compare Martin Guitars with most of their competition. There’s a reason people prefer a US made Telecaster over those made off shore – consistency. Thanks Mike. Yes, I’ve heard of the Martin Guitar story. So often companies are just a brand that they stick on a product. I guess that works for them, but it’s not what we want to do. Thanks Ray. That’s exactly right! Their product has either a 90-day or a 1-year warranty, we have a 15 YEAR WARRANTY! Their product is expected to last about 12 to 18 months, ours could last well over 30 YEARS! Theirs is plastic. Ours is heavy-duty stainless steel! Theirs boils dry (which is not good), ours never boils dry. Ours is made in the USA, theirs is made in China. Our product lasts 15 times as long as theirs and yet is only slightly more expensive. Glenn Yes it matters, we only sell American flags that are made in America. That is our top priority. Yes it matters, this has a lot to do with unemployment & our economy. Thanks for your comment Sherman. We agree!